After a terrible event called the Great Reset only the isolated communities surived. The communities became tribes. The Varosha Tribe picks it's leaders by sending out three candidates on a quest from which only one returns. This is the story of hat happens when the time comes to choose a new leader. Earnest dystopian action film isn't going to win any awards, however it is an okay time passer. Sure you've seen this sort of thing before, to the point that you'll guess what's going to happen, but there is clearly a desire on the part of everyone involved to actually try to make a descent film- which as you know isn't always the case. Watching the film I was left scratching my head because I thought I had seen the film before, There was something awfully fmiliar about the film and then I realized that something had passed through my in box on it when it played in the UK. Is this a great film? No. Is it entertaining? In the right frame of mind it is. 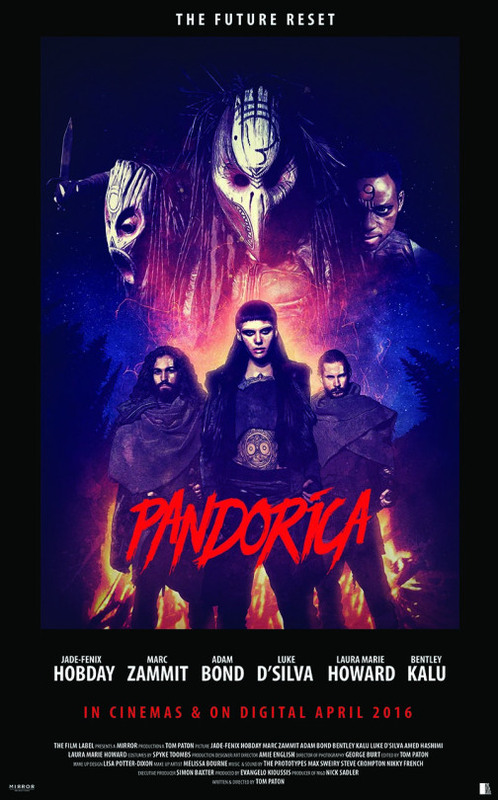 If you find yourself wanting to go off the board and move away from Hollywood give PANDORICA a try.